MATT THE MECHANIC …..He has a small srewdriver to fix things. The small child’s cry pierced the silence of a hot summer afternoon. Mother scooped up two- year-old Kate, and with the still-protesting child in her arms, disappeared outside. ‘Never mind the pram. What about me?’ A clear voice wailed. The doll was facedown. Her dress and legs were tangled in her long blond hair. She was like a discarded heap of clothing. ‘Nobody cares about me. I’m all alone and forgotten.’ She began to sob. ‘Oh no you’re not young lady.’ Old Ted growled from the top shelf. ‘No one moves or talks or does anything until we hear the car leave. Only then will anyone move. I do not want all of us to be at risk by the impulsive actions of anyone. ‘If the humans only listened to me. I could tell on you all.’ Megs the ginger cat meowed from the top of her scratching post. Missy the border collie spiraled in. She sat down and looked in the cupboard with all the bears in their neat little rows. Her black and white face tilted to the side. She grinned her happy doggy grin. She danced away barking excitedly. Milo the milkman has a comb. No one moved until the sound of the car’s engine disappeared into the distance. Sue reached up and the comb was passed from one pure while paw into the pink one of the little care-bear. ‘Thank you’. She then jumped to the ground and ran towards the sobbing doll on the floor. ‘Don’t cry, we’re all here to fix everything.’ Tenderly, she turned the doll over and gently combed her hair. Before long there were no more sobbing sounds. Polly and the bear sat, arms linked, beside the overturned pram. From the back of the lowest shelf an unexpected voice spoke. For years the folks who lived in privacy and had only limited vision of the lounge-room dramas rarely moved or spoke. ‘I believe I’m the best one to help. Excuse me! 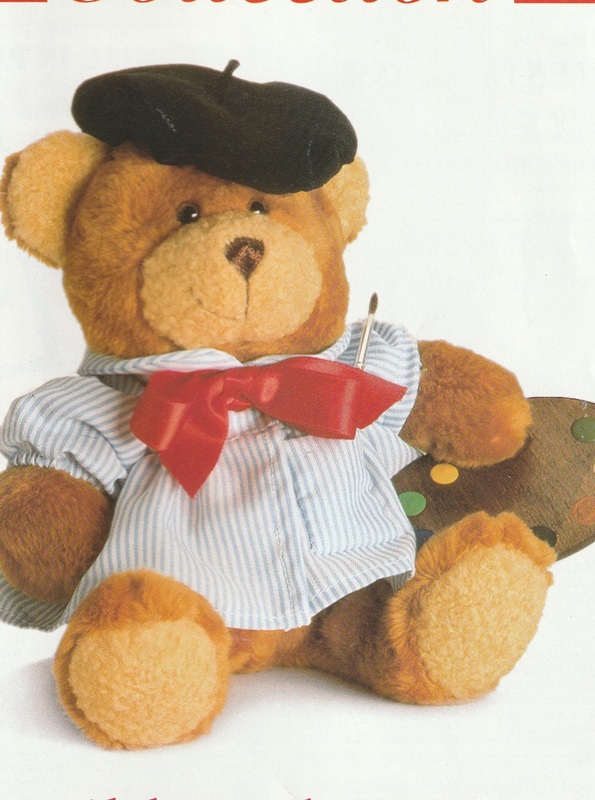 A bear politely pushed his way between Colin the Captain Bear and Alphonse the artist, who didn’t look up but continued mixing paints in his palette. ‘Matt the Mechanic. Can I be of help? I have a screwdriver.’ In his left paw he held a small silver implement. ‘Oh Matt! Matt me boy. It’s good to finally see you. Yes, indeed, Welcome! Its’ your day to use your talents. Welcome… Matt the Mechanic! 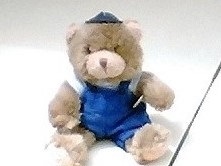 The little bear in the blue overalls bowed politely to old Ted. 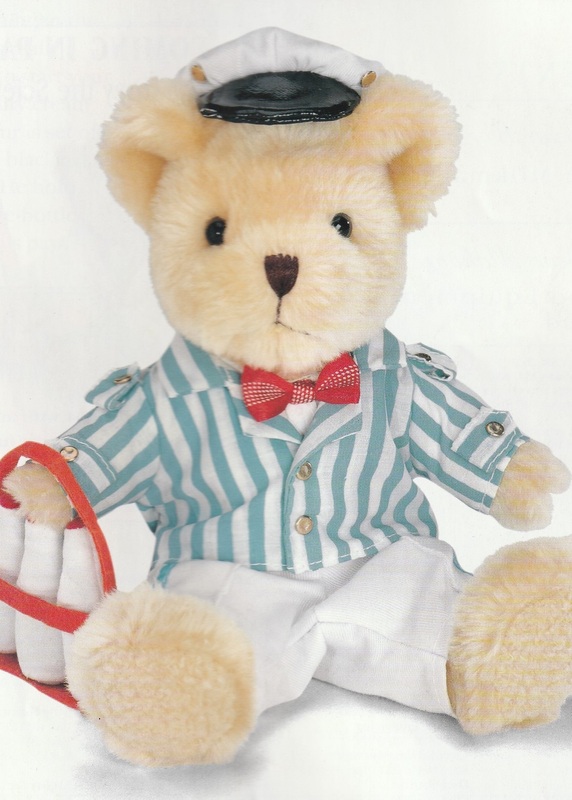 From all around bears clapped paws in greeting. Missy came inside and licked his face before prancing out again. ‘Hello.’ Mewed Mexs from the top of her pole. It’s good to see you but please, please be careful. When things go wrong the humans always say, “It must have been the cat!”’ She ruffled her fur and settled,purring anxiously. 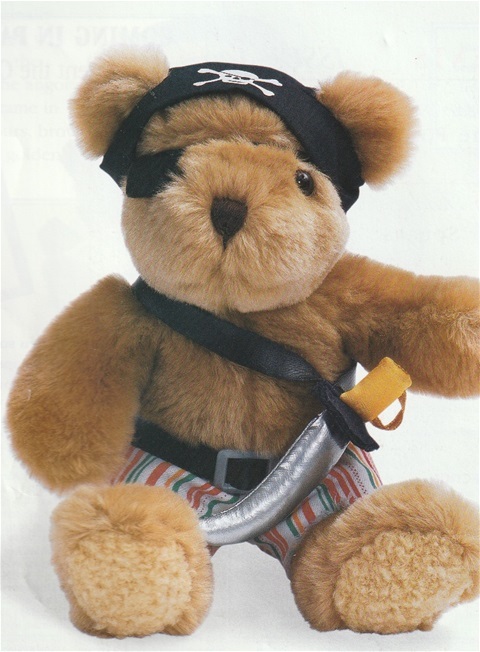 Pedro the Pirate - One of the usually silent and hidden bears. ‘I would like to help too!’ uncle Joseph growled above them. ‘Will do!’. Contentment was Joseph’s greatest gift. It was a slow process, but, finally little paws performed their professional duties. The doll’s pram was steady and whole again. ‘Yippee!’ shouted Harry the Hiker and Milo rattled his milk bottles. Ted sighed. ‘Dear Missy, please settle down. We need you to be very gentle and careful. Polly wants to lie down in her pram. Please, pick her up and gently place her in her right place. Please, Missy be very gentle and careful'. Soft gasps came from the watching bears. ‘I’m ok. I’m ok. Thank you, Missy. Thank you everyone. I’m very grateful’ Polly laughed. ‘It’s been an adventure’. ‘Yes, it’s been an adventure’. They all laughed even the cat. Matt suddenly felt a small paw tugging at his overalls. He looked down into the pink face of Sue Care-Bear. ‘Please Matt, could you ask someone to help me get back into my right place? I really belong on Joseph’s lap in that large armchair but was put on the shelf by mistake.
. ‘I’ll put you back into the armchair, I can reach’ said old Ted. 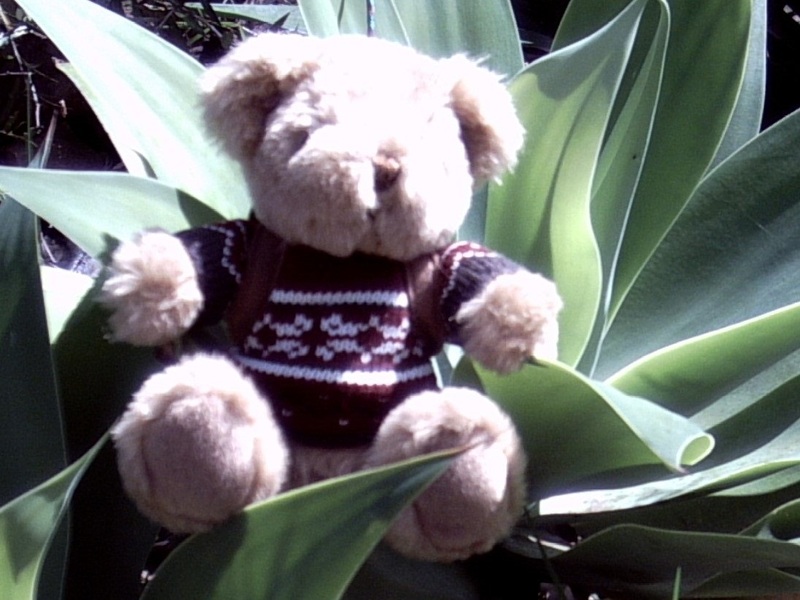 Carefully he walked over and then, reached up and placed the little bear back on Joseph’s lap. He was the only one who saw the tears sliding down the big brown bear’s cheeks. ‘No, it looks like everyone’s moving so I can squeeze past’. 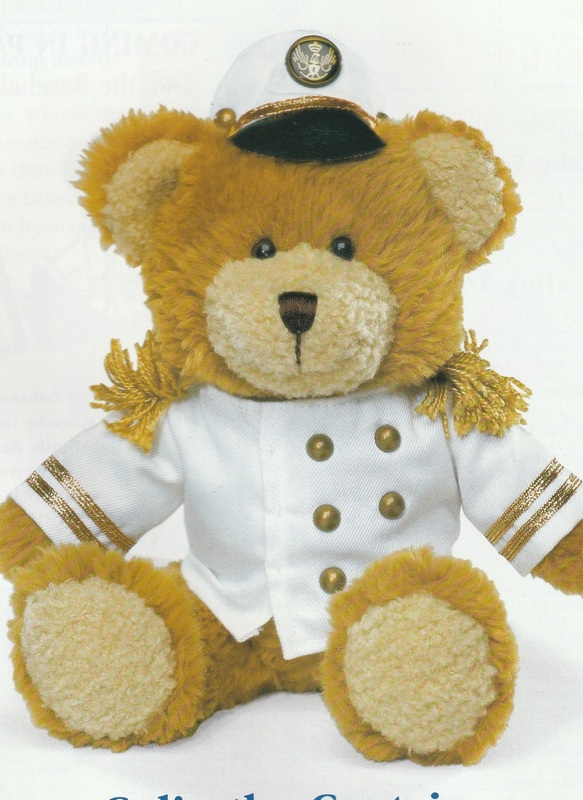 He waved the spanner and disappeared on the lower shelf to sit behind Colin the Captain. The comb was then passed from paw to paw until Milo returned it safely to his back pocket. ‘I hear the car.’ Joseph warned. ‘Absolute stillness everyone’. That afternoon when the family returned home even the animals were strangely subdued. There was a stillness which was abnormal. The goldfish blew bubbles which overflowed the tank. The cat meowed and stretched. Missy calmly sat and held up a paw. The rest of the house was still, very, very, still. ‘And, and, I. I just want to live in peace and quiet with no dramas’ the cat murmured..
Everyone else suppressed their laughter and became once more a collection of small bears and their friends, in a house shared with humans. Sue Care-Bear back in her right place. 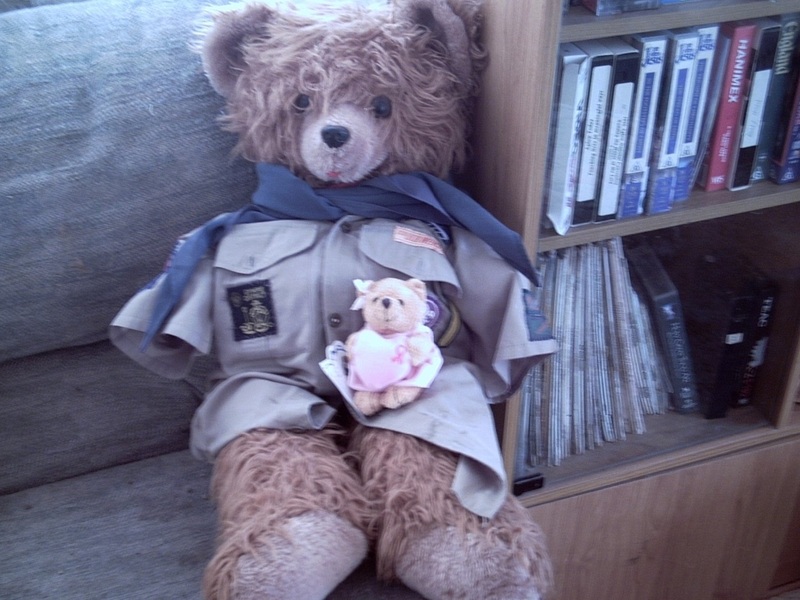 Joseph is wearing a cub-scout uniform again. The bears in the slide have all had brief mention in the story. Spoke briefly in this story.